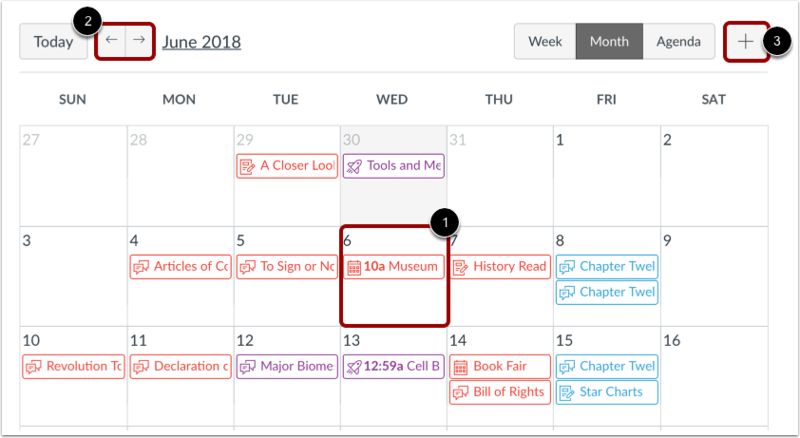 When creating a calendar event, if you want to create the same event multiple times for a course, you can create a duplicate event. Duplicating events creates multiple copies of the event every day, week, or month. 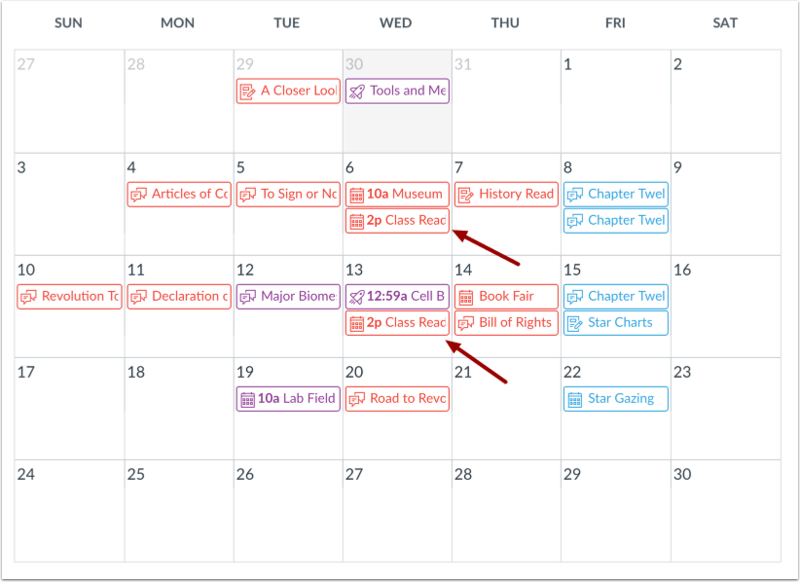 For example, you may create a duplicate course event for student study groups every week. You will not grade students on whether or not they have participated in the study group, but you are providing a resource activity on a specific day to help them organize their time and prepare for your course more efficiently. 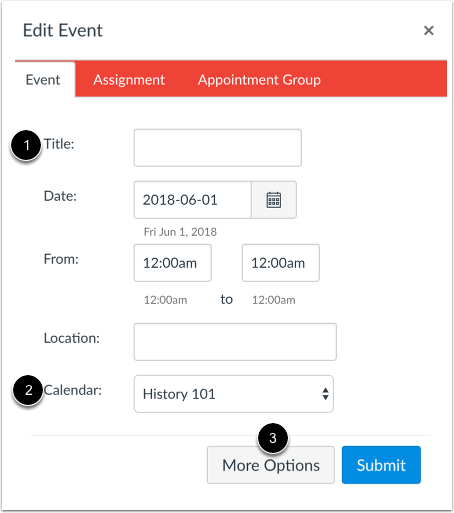 Once created in a course calendar, duplicate events are not linked together and are independent events. Therefore, if users need to modify an event, each event has to be modified individually. 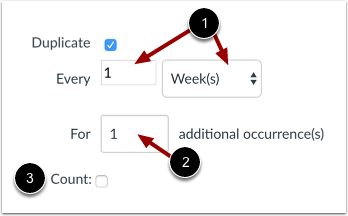 Additionally, duplicate events can only be created when creating a new event; editing an existing event does not display the duplicate option. 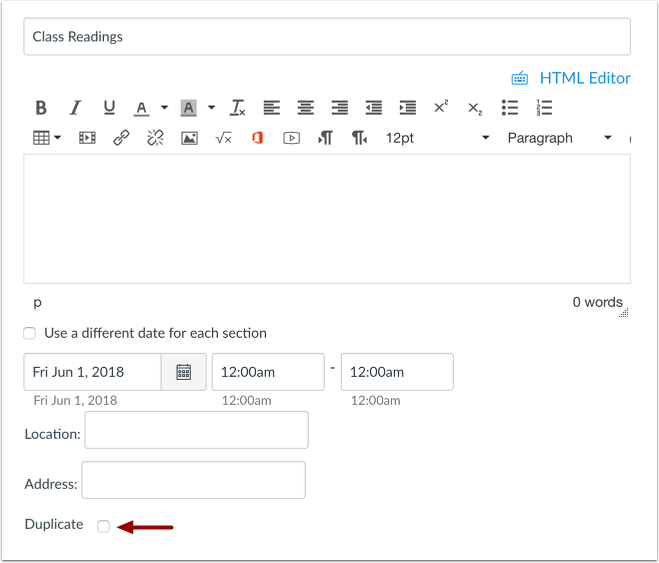 Enter the details as you would when adding an individual event . In the Calendar drop-down menu , select the course calendar for the event. Click the More Options button . Note: If you cannot see the checkbox, you selected the wrong course calendar when creating the new event. View the events in your course calendar. Previous Topic:How do I add an event to a course calendar? Next Topic:How do I add an event to my calendar as an instructor? Table of Contents > Calendar > How do I add and duplicate an event in the Calendar as an instructor?